How many different ways can you really share the same piece of content in 140 characters or less? More than you might think. Many Twitter users have fallen into a rhythm; they found a message style that worked pretty well, so they use it for every Tweet they send. It’s definitely important to find the right Tweet for your audience, but this only comes with constant testing and optimizing. Your audience changes, Twitter changes, and social media trends change. Your Tweets should change right along with them. There are so many individual parts to every Tweet that you can test, but many people focus on one or two. We’ve broken down Tweets into 12 different parts you can test and optimize in order to excel on Twitter. Before moving into the different elements you should be testing, we wanted to share a very basic method for A/B testing Tweets. Essentially, you want to choose only one part of a Tweet to test at a time. Create two different Tweets with only that element changed, and send those two versions at the same time—hopefully to capture a similar audience—on subsequent days or weeks. This simple A/B test should give you insight into how you can best optimize that one isolated feature of your Tweets. If something in the results seems off, you can just run the test again. The first thing you should be testing is what content you actually share to Twitter. Does your Twitter following respond to your practitioner blog posts or do they prefer a news hook? Maybe they respond to more technical content, like whitepapers and webinars. Or maybe they’re more into Twitter chats with no links at all. Test a variety of content types with your Twitter followers in order to see what resonates the best. Then, dedicate more of your messaging to those successful content types moving forward. Of course, even if your followers like one content type more than another, it doesn’t mean you should never switch things up. Variety is important, especially if you work at a business that sells a boring product or service. This is why you should experiment with different content ratios. What we mean by content ratios is the share of your daily or weekly messaging dedicated to specific types or styles of content. It’s important that you test out different ratios in order to identify a mixture that sits well with your audience. One of the most common complaints people have about brands on social media is that they post too much promotional content. By testing your ratio, you can identify how many promotional posts you can use before annoying your following, for the greatest benefit to your business and your brand. We’ve found that starting off with the social media rule of thirds—explained above—is a great place to start, and you can tweak the ratio from there. Your audience may respond to all of them, but odds are you’ll find one or two that outperform the others. You’ll also want to experiment with messaging length. In general, shorter messages tend to perform better. This is reflection of people’s attention spans when scrolling through their streams. It also reflects the fact that you should always leave enough room so that someone retweeting your message does not have to edit it to remain under 140 characters. That said, experiment with your messaging. Try messages that are two words in length and some that are 10 words. Try using only 20 characters and compare it to using 120 characters. Make sure you’re trying different messaging on the same piece of content so that the results of your test aren’t affected by the content itself. Passive? Active? Happy? Scary? Firm? Funny? What tone of messaging do your followers respond to the most? Obviously the tone you choose should match the content you’re promoting. Still, by testing different ‘voices’ on Twitter, you’ll get a good sense of what your following responds to. This, in turn, might guide your content strategy moving forward. It might not look right, or might bother your Twitter instincts to their core, but you should still test out different placements. You might be surprised with what you find. Despite knowing that hashtags can extend the reach of your Tweets, many people choose to not use hashtags because they believe that they annoy people or drive down engagement. Don’t trust that rumor. Instead, test hashtags within your messaging. Finally, many businesses try to create their own hashtags. If you’re planning on doing the same, make sure you’re constantly testing the performance of that branded hashtag. Give it time to spread, but if it doesn’t work at all over your test period, consider changing the hashtag or backpacking on an existing successful tag. Twitter started off as a text-only social network, but has since evolved into a rich media experience. We all know that images drive greater engagement on social media messaging in general. But you shouldn’t accept anything at face value when it comes to your following. Try text-only messages. Test them with different types of content. See if they work. Then add images and repeat the process. We’re going to hypothesize that the content with images will work best, since it will help your Tweets stand out within the stream. But you never know. Choose a piece of content and create a variety of media assets in each of these different types. Run tests to see which media type drives the most engagement on the same messaging. This will provide insight into what your followers prefer. It turns out, for example, that Hootsuite followers adore gifs. We make sure to use them regularly, especially to help out content that isn’t performing up to par. After a barrage of tests, you’ve honed in on some really well-performing Tweets. Now it’s time to test when these great Tweets will hit the largest number of followers. You should be sending Tweets out at a variety of times regardless, in order to keep your followers engaged throughout the day. Now, try sending the same Tweet at various times, and not only on the hour. Hit the fifteens or the fourty-fives to see if they perform any differently. See when engagement is at its peak—this probably means your following is mostly active on Twitter at that time. Remember: if you have a global audience, peaks may come at different times based on geography. Don’t only send messages between nine and five where you live because you see more engagement during your work day. Try and find the times where global engagement peaks as well, especially if you’re scaling your business into other markets. In addition to finding the best times to Tweet, you should try testing different Tweet intervals. Do your followers enjoy getting a Tweet every hour? Maybe they’re more engaged and would prefer a Tweet every half hour during the work day. Or they might be less engaged and don’t want to be bombarded with your Tweets, preferring to see only five or six messages every day. By testing different intervals, you don’t only gain insight for optimizing Tweets, you also learn a little something about your audience, how they use Twitter, and what they think about your brand. So you’ve tested just about everything these is to test in your Tweets and have optimized your way to organic success. Don’t stop there. Once you’ve made a little magic happen organically, you should look to paid options to really expand your audience. Think of organic Tweets as the proving ground, and social media ads as the big leagues. 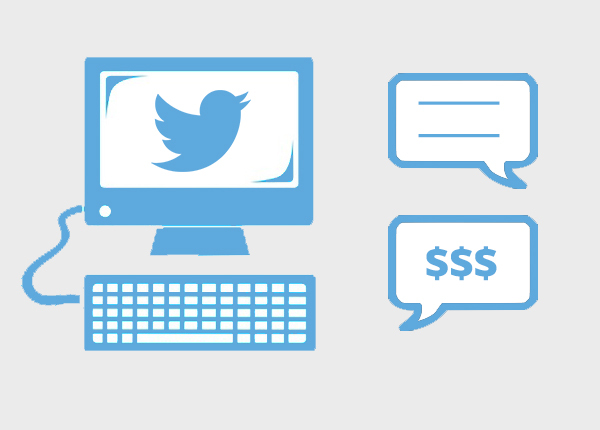 Once a Tweet has seen success, put a little money behind it and test it out as an ad. Twitter has several ad options, so you’ll also want to test various formats to see what works best for you. Test audiences in order to increase your engagement and drive down your cost-per-click. Try different geographies and other demographics to further hone in on the right audience for you. While we’re on the subject of Twitter and tests, check out 16 Twitter accounts that will make you smarter.